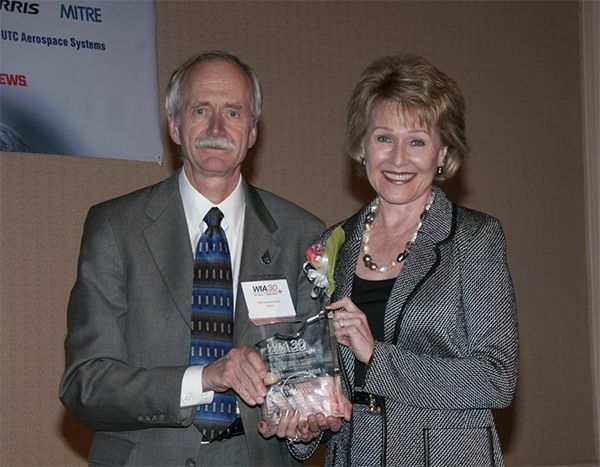 Sandy Coleman poses proudly with NASA's William Gerstenmaier and her WIA Lifetime Achievement Award. 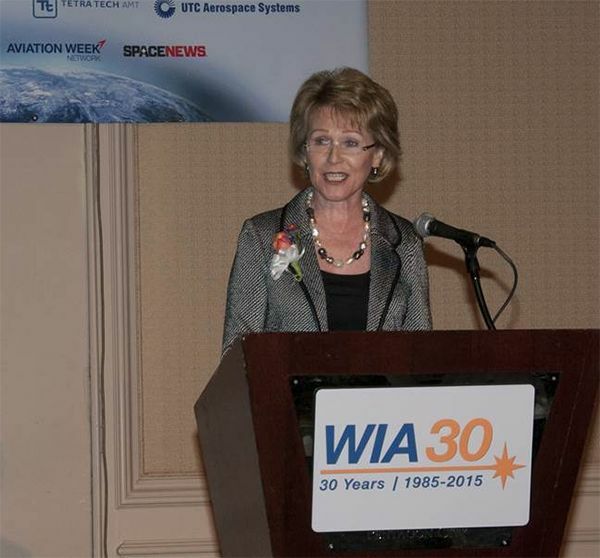 On October 22, 2015, Sandy Coleman, Vice President of Orbital ATK’s Washington Operations, was awarded the Women in Aerospace Lifetime Achievement Award for a career dedicated to advancing aerospace and human spaceflight. With a career that spans more than four decades, Coleman’s accomplishments are an inspiration to women interested in pursuing careers in science, technology, engineering and math (STEM) fields. She was inspired to get involved with the space industry at a very early age. While working at NASA, Coleman obtained a Bachelor of Science and a Master of Science in industrial engineering at the University of Alabama and rose through the ranks to Senior Executive Service in the Science Directorate and Space Shuttle Program. After the Columbia accident, Coleman was assigned the Interim Manager of the Space Shuttle Propulsion Office and served on the Columbia Accident Investigation Board for all Shuttle propulsion elements. NASA later promoted her to manage the return to flight of the Space Shuttle External Tank (ET) Project. This was a critical position as the redesign and delivery of the ET was mandatory to save the Space Shuttle Program and, ultimately, the International Space Station. Coleman led the redesign, production, certification, and STS-114 ET launch team during a period of intense Congressional and press scrutiny. "I cannot emphasize enough the depth and value of her contributions to the success of our nation's human space flight programs,” said William Gerstenmaier, NASA Associate Administrator for Human Exploration and Operations. “Sandy's leadership of the External Tank project team after the Columbia tragedy and the support she provided to the Columbia Accident Investigation Board contributed to the decisions to return the space shuttles to flight." In July 2006, Sandy retired from her 40-year career at NASA, a career of firsts including first woman selected for full-time graduate study at MSFC, first female Business Manager of one of the five Shuttle projects, first woman Deputy Project Manager in the RSRM Project Office, one of the first women promoted to the rank of Senior Executive Service and first woman to represent a propulsion element in NASA’s Kennedy Space Center firing room where she provided the final “go for launch” on nine shuttle launches. Sandy Coleman accepts her Lifetime Achievement Award from Women in Aerospace. Throughout her career, Sandy Coleman has continuously mentored young women to ensure their advancement in the aerospace industry. Since joining Orbital ATK in 2006, Coleman has contributed significantly to assuring the continuation of NASA’s space programs after cancellation of the Constellation program. Through her efforts, the Space Launch System and Orion Program were reinstated in the 2011 President’s budget request. Throughout her career, Coleman has continuously mentored young women to ensure their advancement in aerospace. From 2007 to 2011, Coleman served as an Advisory Committee member for the Extraordinary Women Engineers Project. During this time, she helped sponsor Engineer Your Life in conjunction with The National Engineers Week Foundation, directed development of an online guide to engineering for high school girls, parents, teachers and engineer volunteers, and volunteered at high school college fairs to encourage girls to consider STEM careers.